Happy Thursday, Dear Readers! Before I get started, I just want to remind everyone about the MASSIVE REVIEWER REWARD GIVEAWAY that's on right now - prizes for literally everyone who leaves a review on Amazon, and a huge mega-prize for one lucky winner that includes all kinds of droolworthy stuff. Get in there now, if you haven't already. Today's blog was prompted by a lovely email from reader Nikita (hi, Nikita! You have a very cool name!) who lives in Idaho in the US. Since my publishers aren't showing any signs of wanting to send me off on an all-expenses-paid signing tour of America any time soon, she was wondering if I'd sign tags for her books if she sent them to me. I decided to do a post about this rather than just answering Nikita individually, because I realised that when I redesigned my website last year I never replicated the information on signed books which used to be on the old version. As a result, there might be a few readers like Nikita who would find it useful to have this question answered. My stance is this: If you'd like your book or books signed, but you live far away or can't get to signings for any other reason, I am always willing to sign bookplates for you. In fact, I have my own generous store of bookplates for the purpose, although if you have your own and you'd prefer them signed then that's fine too. In the letter you can tell me how many bookplates you'd like and if you want me to dedicate them to you, or someone else - for example, have me write 'To Leila', or 'Happy Birthday Amal!' or 'Keep writing, Beth!' - or just sign them. Include a return envelope with the right postage and your address on it, and I'll send your bookplates back to you in that. However, if you're abroad, although the rest of the process remains the same there's a little more to organise, because your stamped, self-addressed envelope needs to have postage on it that will allow me to return it. You should use a service like this to buy the correct amount of internationally valid postage and put that on the envelope so that I can send it back to you. If your country still sells International Reply Coupons (the UK and US don't anymore, sadly) then you can include those instead. Bear in mind that your letter has to not only reach my publisher but also wend its way through their mail room department, be sent to me, then reach the top of my To Do Pile, and finally work it's way back to you through the postal service before you'll get your bookplates. For what it's worth, I always try to send everything out within a week of receiving it - but I've gotten post from my publisher in October that was dated May before, so I can't answer for how long the whole process will take. On the other hand, if I get your letter then you have my word that even if it's from a year ago I WILL REPLY, and you'll probably get a few extra bits and pieces of swag thrown in for good measure along with the bookplates. Armed with all this information: have at it, Nikita (or anyone else who'd like a signed bookplate or bookplates). Before I go, here's a link to a cool blogpost about how to beat writer's block - it has a couple of tips on it that I've never heard of before and which intrigue me greatly. And also this piece called O Dreaded Prologue! The title made me snort with amusement, but the points the writer made had me nodding with agreement. 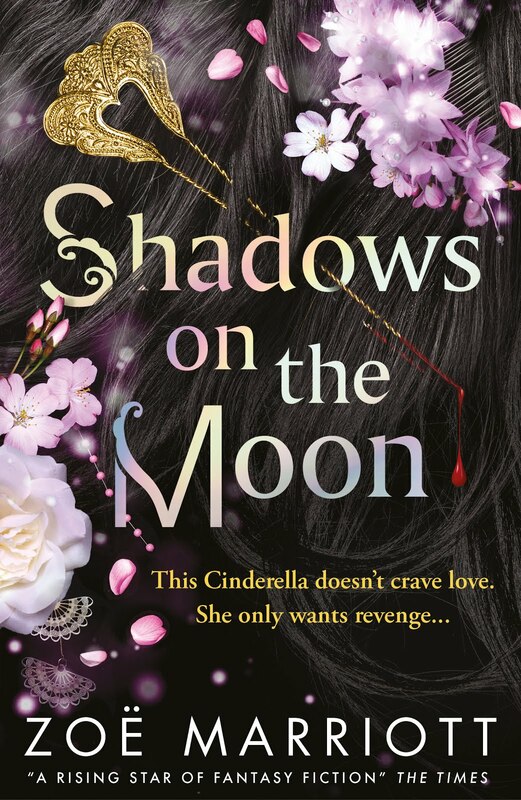 Finally, a lovely post by bestselling author (and all around lovely lady) Samantha Shannon, who is going to be chairing my panel at YAShot in October (all the details you need on YAShot are here!) in which she makes me want to visit Prague rather desperately and also says some extremely nice things about Barefoot on the Wind. That's all for this week, my lovelies! Read you later. Hello, hello, hello Dear Readers! I hope the week's been great to you so far, and if not, that it takes a turn for the better before the weekend. Today I bring you, as promised, a giveaway designed to reward those who've answered my appeal here and reviewed BAREFOOT ON THE WIND on Amazon. Thank you all so much! Each of these reviews really does make a difference to the book's 'discoverability' (apparently a real word) online and helps to boost the chances of another reader taking a chance on this weird little Feminist fairytale. It's been tough to figure out a way to reward everyone who has reviewed so far and also encourage others to review in the future. By definition, people who have written reviews must already have gotten their hands on a copy, whether they bought it or were sent it for review (unless you borrowed it from a library, in which case *fist bump* - libraries rule and deserve our support, thank you). So offering to give away my newly received author copies felt a bit redundant. After wracking my brains for a little while, I came up with this. If you have reviewed BAREFOOT ON THE WIND on Amazon or if you do so in the next two weeks - that's up to and including the 5th of October - then you are entitled to claim a signed bookplate and gorgeous full-colour book swag from me. If this sounds groovy to you, then get in touch via the contact form on my website here and give me your name and the address you'd like this prize to be posted to, as well as quoting the first line of the review so I know who you are. The book's only out in the UK right now, but if you're abroad and you manage to read and review it despite that then you're still very welcome to take advantage of this offer, so don't be shy! This is pretty much the biggest and best prize I've ever managed to put together, and if I wasn't the person doing it, I think I'd very much want to be the winner. Excited? I'm excited. If you've already reviewed, you're already entered, no probs. If you haven't reviewed, then you need to do so by the 5th of October. International readers are welcomed with open arms. Winner announced on the 6th of October. 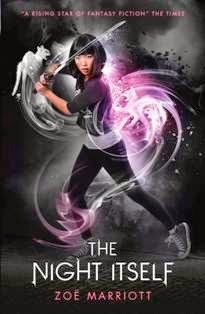 If you've already reviewed, and you'd like to claim your signed bookplate and swag, you can get in touch now and I'll send them right out, or you can wait until the giveaway period is over and if you win I'll send everything together. Either is fine with me, but remember that you will need to let me know your address before I can send anything! Thank you all so much, again, for your support and love for this book. Read you later, muffins. Happy Monday, Dear Readers! 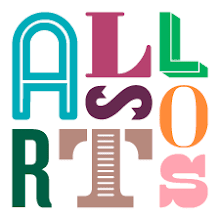 Today's post is to be found on Author Allsorts and offers up some of my favourite pieces of poetry and the reasons why I love it. Head over there and check it out. Let's hope it's the start to a great week for us all! 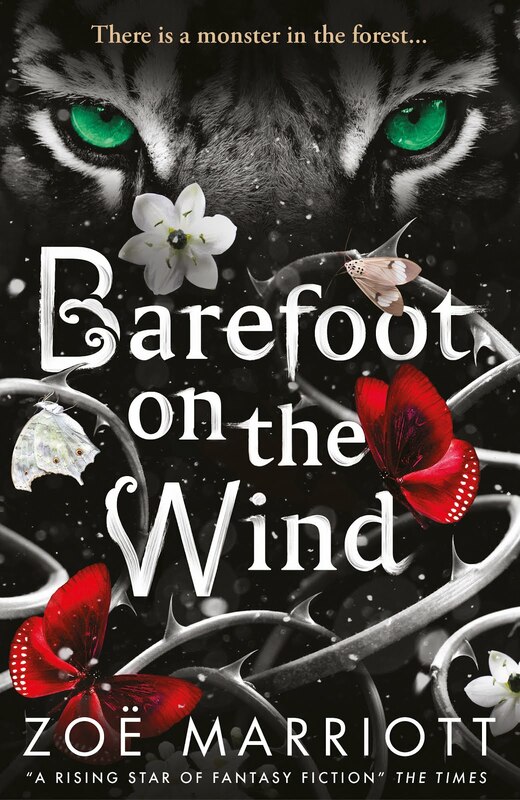 If you've read BAREFOOT ON THE WIND - whether that's because you bought a copy or were sent one for review - and you have any thoughts or feelings about it, I would *love* it if you would head over to Amazon and post a review. If you've already written a review for your blog or Goodreads - and there have been some simply fantastic reviews, insightful, funny and generous - just copy and paste that. Otherwise, a line or two that sums up your feelings would be great (though don't let me stop you from going the whole hog). It doesn't have to be long. It doesn't even have to be positive, if you have a different perspective to offer. But having a number of reviews on an Amazon page really can make the world of difference to a book's sales, not just on Amazon but all over the internet and in the real world - people often flick there first before making their mind up, and if it seems that others are talking about the book, it may motivate readers to check it out now. And believe me, both I and this weirdo little Feminist story really do need that boost. So that's my appeal: please review if you can find the time and spoons to do it. 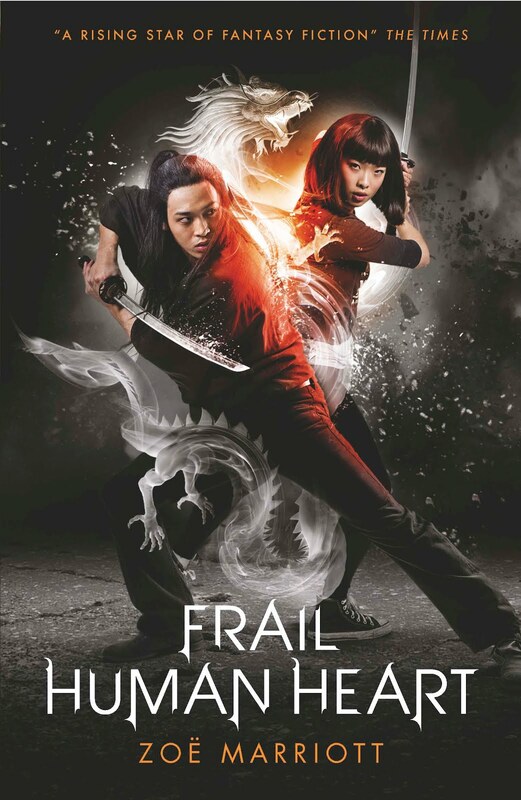 Later on, after I've got my author copies of this book (and have a bit of my energy back) I will most likely reward reviewers by doing a giveaway of some kind, with swag and maybe other nice things. But right now I'm just asking you to do it from the goodness of your hearts if you feel that you can. Love and snuggles to you all, my crumpets. Next week I shall be posting over on Author Allsorts about my favourite poem (which, to no one's surprise, is actually several poems) and will link across from here for ease of finding. Any questions or potential blog topics to offer? Throw them in the comments.